Meet Jesse Costucci-Phillips, a 19 year old nail technician, actress, motivational speaker and, of course, outdoor enthusiast. Jesse’s passions lie on marathon courses and within the mountains. While loving music and the arts, being in the wilderness is where she feels most at home. Being born and raised in Vancouver, the opportunity of going paddle boarding and skiing all in the same day were present. Although the opportunities were there, Jesse needed then to be shoved in her face to take them and only after realized how drastically she needed physical activity in her life. After multiple camp trips, marathons and hikes she became a part of the Street2Peak initiative. 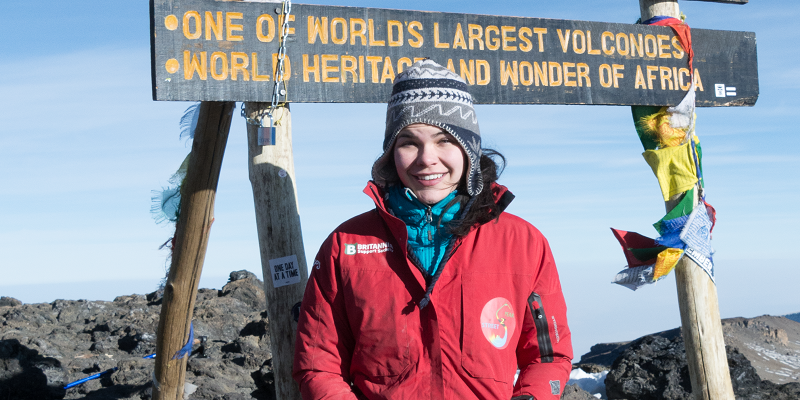 She was one of 15 students to go to Tanzania, Africa and climb Mount Kilimanjaro. An adventure that changed her life. Well done for organising everything, it was well executed, professional, in a relaxed and fun way. We look forward to the next one.